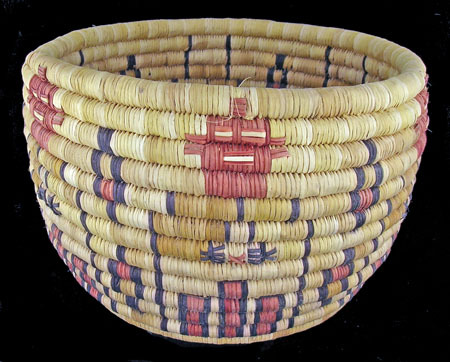 Basket, coiled rod reed, from Second Mesa in HopiLand. Three mudheads and three kachinas hand-woven into the pattern. 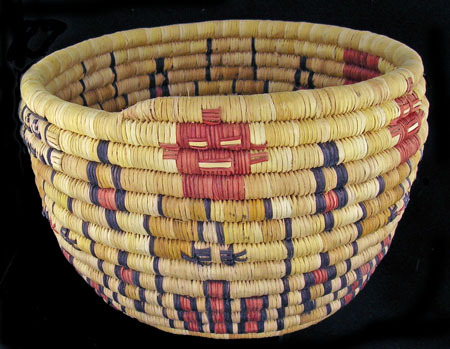 Size: approx 6" h X 9" dia.